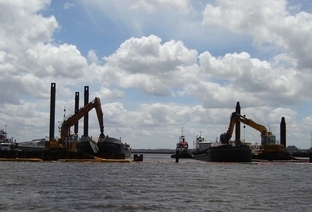 FAMILY OWNED & OPERATED FOR OVER 50 YEARS WITH MORE THAN 45 YEARS DREDGING EXPERIENCE. AUSTRALIAN BRANCH IN NEWCASTLE, NSW. Using backhoe and cutter suction dredgers, our team can help with the deepening of harbours, marinas, desedimentation and marine excavations. 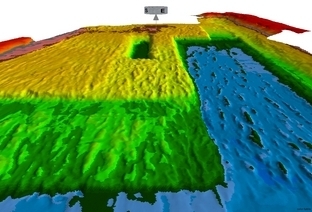 Know exactly what your project needs by getting accurate measurements from a team who uses advanced GPS and echo sounding equipment..
Find out what dredging projects we’ve done recently throughout Australasia.